To insure quick warm up under cold weather conditions, use our oil–stat. This uniquely designed product controls oil temperature like a thermostat controls water temperature in a radiator. 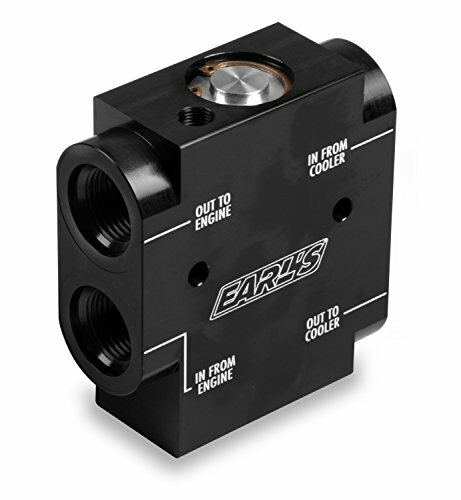 Designed for passenger car and light truck usage with Earl's temp-a-cure(TM) oil coolers. Billet 6061–T6 aircraft aluminum with three sensor ports.